Nestled below Australia’s mainland in the seas that extend south to Antarctica is the rugged and wild island of Tasmania. It’s home to large tracts of wilderness, pristine rivers and untouched beaches that lure adventurous travelers, offering some of Australia’s most outstanding hikes. From unique alpine landscapes to secluded coves and windswept coastal cliffs, there’s no shortage of opportunity to escape and be immersed in Tasmania’s natural beauty. You can opt for either short hikes or multi-day adventures, with both independent and guided options available. If roughing it isn’t your thing, then you can also enjoy Tasmania’s walks in luxury wilderness accommodation, accompanied by local wines and gourmet produce. So if you’re thinking of heading to Tasmania, here are five of the best treks to inspire your adventures. Tasmania’s most famous multi-day walk is the 65-kilometer Overland Track which traverses the alpine wilderness of Cradle Mountain-Lake St Clair National Park. It takes trekkers from Ronny Creek near iconic Cradle Mountain through glacial-carved valleys, button grass moorlands and ancient rainforests, ending at Cynthia Bay on the edge of Lake St Clair. Most trekkers take around six days to complete the trek, but there are also a range of side trips you can add on, including to the island’s highest peak, Mount Ossa, or along the entire length of Lake St Clair. It used to be that everyone had to carry all their gear with them, bunking down in basic huts at night. But today there are also guided options with Cradle Mountain Huts Walk which features all your creature comforts, including private accommodation, gourmet meals and Tasmanian wines. Due to the popularity of the Overland Track, it’s now necessary to register and pay a fee if you want to go during the peak trekking season from 1st October to 31st May. During these dates, you must walk the trail from north to south and advanced bookings are highly recommended during December to February and April. 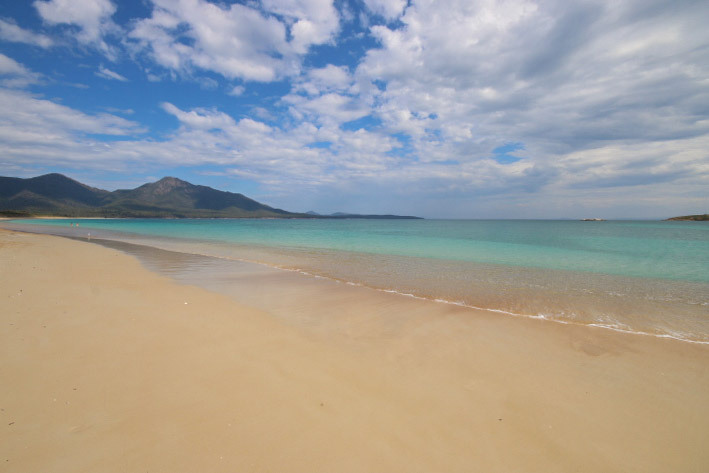 Perhaps Tasmania’s most popular short walk is the hike over to beautiful Wineglass Bay, a perfect horseshoe of sand in Freycinet National Park on the East Coast. The one hour hike takes trekkers over the saddle between Mt Amos and Mt Mayson, with a lookout point at the top which offers stunning views across Wineglass Bay and some great photo ops. After taking in the vistas, you can follow the trail down to the sands and take a swim (if you’re willing to brave the chilly Tasmanian waters), then continue on the circuit trail which leads to Hazards Beach and back to the car park (around 4-5 hours). Alternatively, you can head back the way you came, with the return trek over the saddle taking around 1 1/2-2 hours. 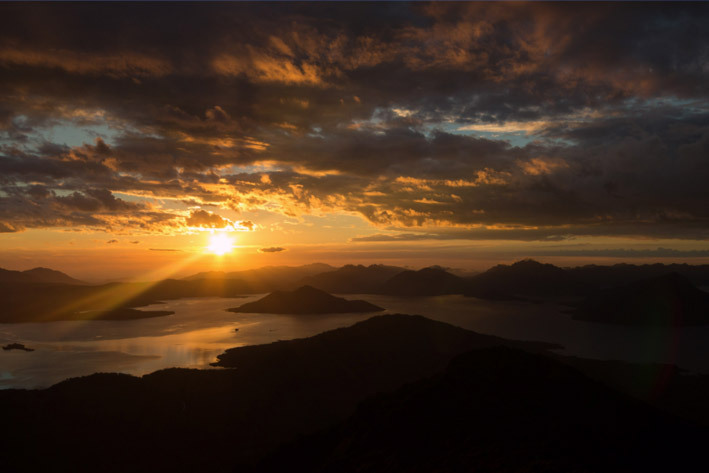 Those wanting more of a challenge can also tackle the trail which leads up to the top of Mount Amos (around 3 hours return), from where there are superb views across Freycinet National Park. 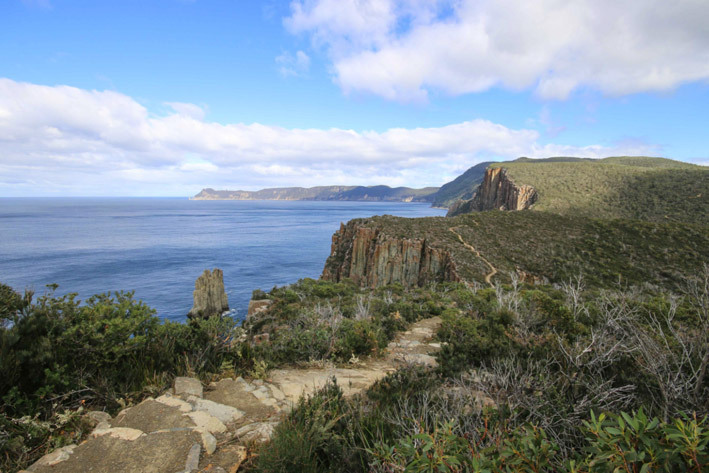 Tasmania’s newest multi-day walk is the Three Capes Track which takes trekkers along the spectacular southeastern coastline of Tasman National Park. 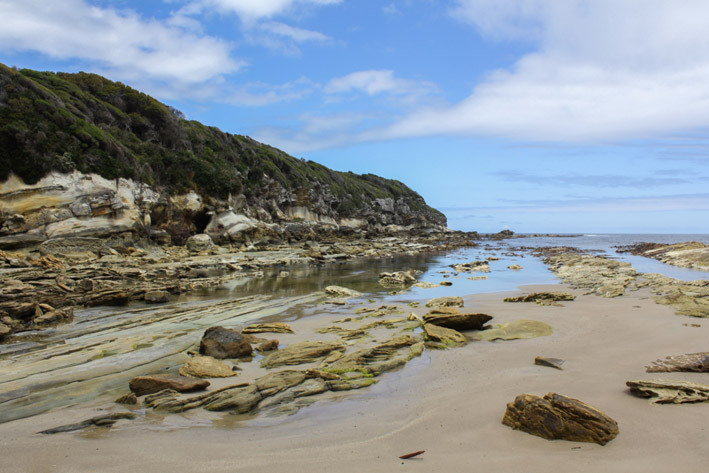 It begins at the historic convict settlement of Port Arthur with a wilderness cruise to spot sea lions basking on the rocky outcrops and eagles soaring above before trekkers are dropped at the start of the walk itself at Denman’s Cove. The four day, 46-kilometer walk is enhanced by an accompanying guidebook and sculptural landmarks along the way which help to tell the human stories and natural history of the landscapes you are trekking through. Rather than carrying all your own gear, three eco-friendly cabins have been built along the route, equipped with mattresses, cooking facilities, toilets and environmentally friendly pellet heaters to keep trekkers warm in the cold winter months. There’s also a whole collection of Tasmanian books to peruse, as well as board games to play with fellow trekkers. Then wake refreshed to climb across the plateau of Mount Eliza and attempt the tricky final ascent up the rocky summit of Mount Anne. From here there are panoramic views across the rugged surrounding mountains and wilderness which stretches below. Keep in mind that the weather can be highly unpredictable and you should come prepared for all conditions. If the weather turns bad, consider holding off the ascent until things clear up. 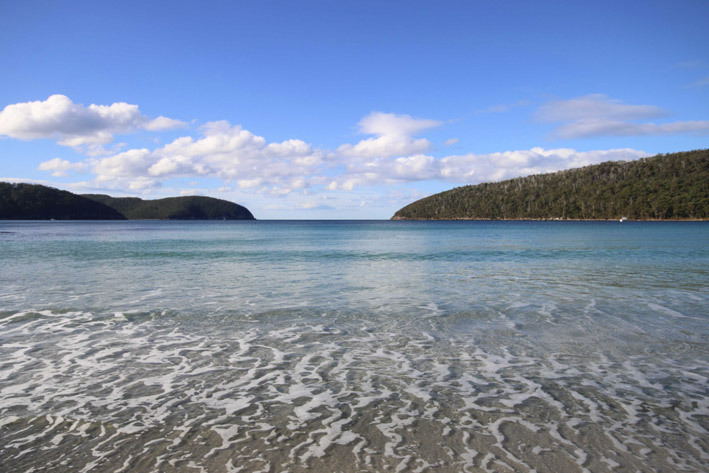 If you really want to be immersed in Tasmania’s UNESCO World Heritage-listed Southwest Wilderness, then the 85-kilometer South Coast Track is the ultimate multi-day trekking adventure. It begins with a scenic flight into the remote airstrip at Melaleuca from where you begin the 7+ day walk, hugging the coastline of this pristine wilderness. The trail takes you through ancient rainforests and the magnificent alpine landscapes of the Ironbound Range, with plenty of opportunities to swim at deserted beaches and sleep out under the stars.…as well as encounter the endangered orange-bellied parrot. There are no established huts along the South Coast Track, meaning that you need to carry all equipment and food with you for the entire week. The weather conditions here can also be highly changeable (even during the summer months), so you must come prepared. Due to its isolation and duration, the South Coast Track is recommended for those with previous experience in tackling independent, multi-day treks in remote regions.